India is well-known worldwide for being home to the most enduring ancient traditions, civilization and cultures. This very fact proves to be the major USP of tours to India. It has always been a land that every year attracts a crazy number of tourists. India has to offer a lot- diverse landscape, rich ethnicity, a glorious past, lip-smacking cuisines, colorful festivals, architectural marvels, natural gems, religions and much more coupled with the most modern sensibilities. This makes it a 'must-visit' on the list of favorite destinations of a discerning traveler who likes to travel all around the world. During your visit to India, you have innumerable options to explore from one part of India to another. Each region of India- North, South, East and West has its own mesmerizing attractions, cultural hubs, tourist spots, landscape, art, dance, music and much more. From Kashmir to Kanyakumari and from Gujarat to Bengal, each place has something unique for its visitors. Along with the other options, some of the most popular tourist destinations are Kashmir, Punjab, Agra, Delhi, Rajasthan (North), Maharashtra, Gujarat (West), Tamil Nadu, Kerala, Karnataka (South) and Darjeeling, Madhya Pradesh (Central), and Orissa, Kolkata and Mizoram (East). 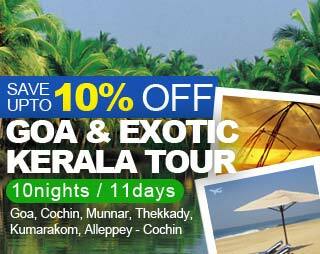 You can easily plan a vacation in India and create unforgettable memories for a lifetime. India has beaches, hills, deserts, backwaters, rich wildlife, and much more for you. It is no exaggeration that during your holiday in India, in just one time you can enjoy a multi-themed vacation including sightseeing, cultural activities, exploring wildlife, water sports, other adventure activities, dance and music performances, fairs and festivals to name a few. Tourist Places in India, a business venture of Indian Holiday Pvt. 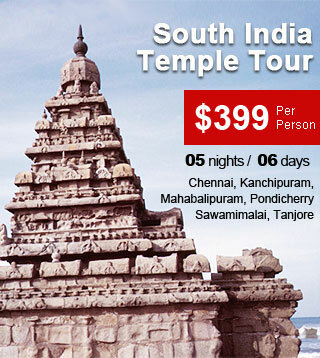 Ltd, is renowned for offering excellently planned tours packages to India. You have a number of options to choose from- Tourist Zones in India, Tourist States In India, Tourist Cities In India, Hill Stations in India, Heritage in India, wildlife destinations, honeymoon destinations, religious places, including the nearby countries. The website contains each and every detail about all the states, cities, towns, attractions, etc so that you can browse through and pick the one you want to. Avail the services of our expert team members and explore the best of India through your own eyes. We will be your comprehensive travel guide during your tour in India. We take pride in offering the finest of services and products to our valued guests to ensure their complete comfort in this versatile country.